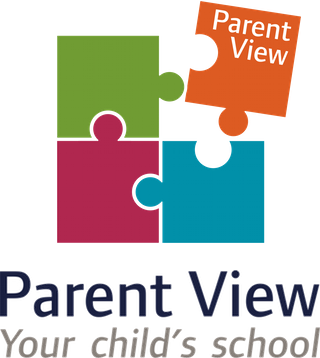 Parent View is an online questionnaire that allows parents and carers to give their views about their child’s school at any time. It is also how parents and carers give their views about their child’s school to inspectors during a school inspection. If you complete this questionnaire, you will be asked to decide whether you strongly agree, agree, disagree, strongly disagree or don’t know in response to 11 short statements. Question 12 asks whether you would recommend the school to other parents and carers. Of course, we would hope you would be able to answer the questionnaire positively but if you do have a suggestion about how the school could be improved for your child or for you, please do telephone, e-mail or visit the school office so that your thoughts may be passed onto the headteacher. Alternatively, you can arrange to meet with any member of staff by making an appointment at the school office so you may share your thoughts in person. We really do value your thoughts and opinions - compliments help us to know we're doing the job right and suggestions help us to know how we may further improve the school to best serve your child and your whole family. We thank you in advance for taking the time to register with Parent View so you may complete the questionnaire.